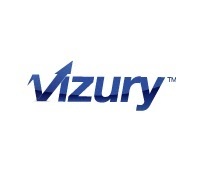 Vizury is one amongst the set of companies which are changing the conventional history along with likes of Inmobi where in an Indian born product is capturing global markets. Its a born in India company which has an extremely successful product internationally.Needless to say to accomplish this Vizury not only needs to dream audaciously but also rope in talent which can execute the dream on day to day basis. This would not be an ordinary talent but the very best. Candidates should be from BE/BTech/MTech/MS/MCA from CS/IT and related streams. Candidates should have 0-3 years of relevant experience with Algorithms, Data Structures,& Optimizations in addition to Coding. Though not a mandate but candidates from premier colleges like IITs, NITs, IIITs, BITS Pilani, DTU Delhi, ISM Dhanbad, NSIT Delhi, Thapar Patiala etc preferred. Interested and eligible candidates apply this position by elitmus employabality test.